It used to be that all you needed to complete a successful transaction at a Coca-Cola machine was to insert the correct amount of coins. But, recently Coca-Cola machines are asking for hugs, signs of affection and friendship in exchange for a free bottle. The latest example of an interactive Coca-Cola machine was launched recently in a theatre complex in Korea. 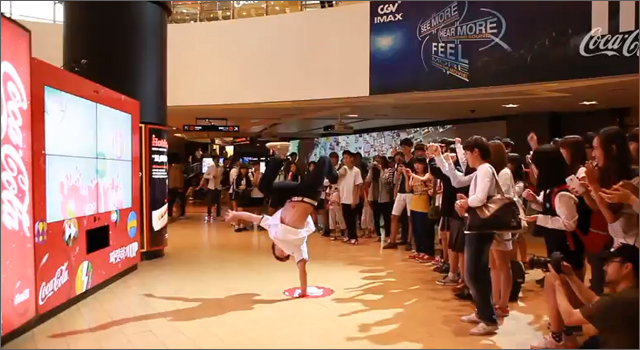 People passing by, were invited to mimic the dance moves of Korean boy-band 2PM to earn a free Coca-Cola. Dancers were then able to share pictures of their dance movies to Facebook, Twitter and me2Day.